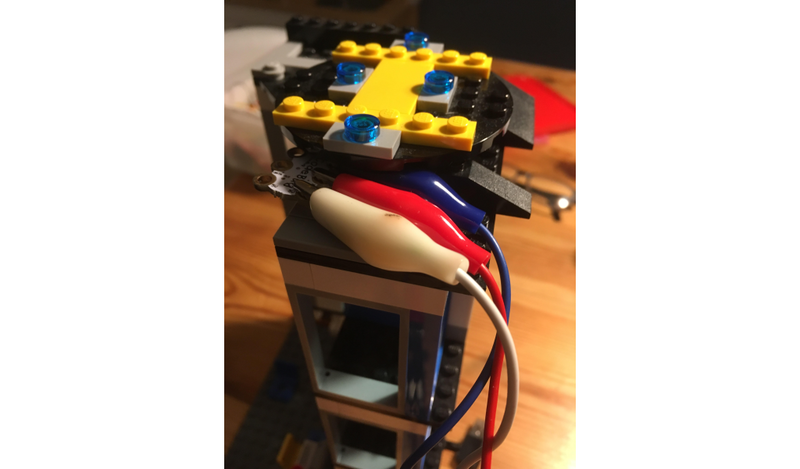 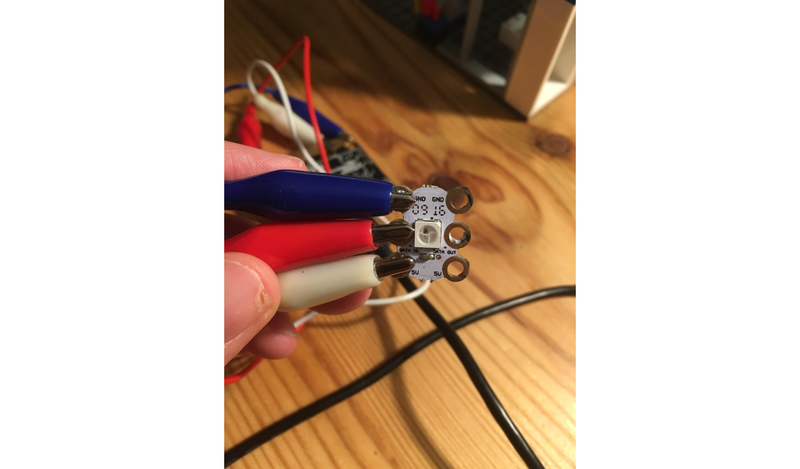 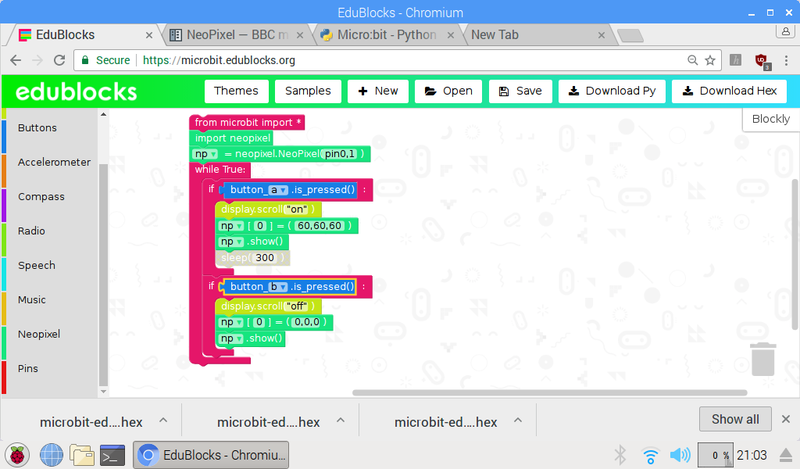 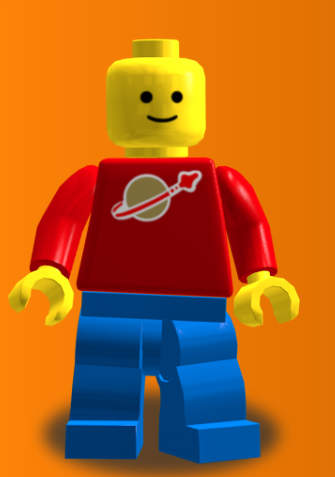 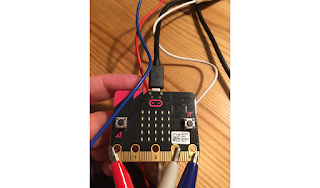 Jammy blog: Lego + Micro:bit + edublocks 1: ''Lights on"
Step 1 Connect the crocodile clips to the Micro:bit. Step 2 Connect your crocodile clips to the input on the neo pixel. Step 3 Attach neopixel on your building. Step 7: After it flashes press the 'a' button to turn on the lights and 'b' to turn off.